Have you ever encountered a Blue Screen of Death with the error “Driver Power State Failure” displayed? Then you have an idea about how frustrating this can be. It can mess up with any work you are doing on your PC and lead to missed deadlines. This failure is mostly caused by mismatched or unsuitable driver for a given hardware device on your computer. At least there is a good thing about this situation, it can be solved by following a few steps. 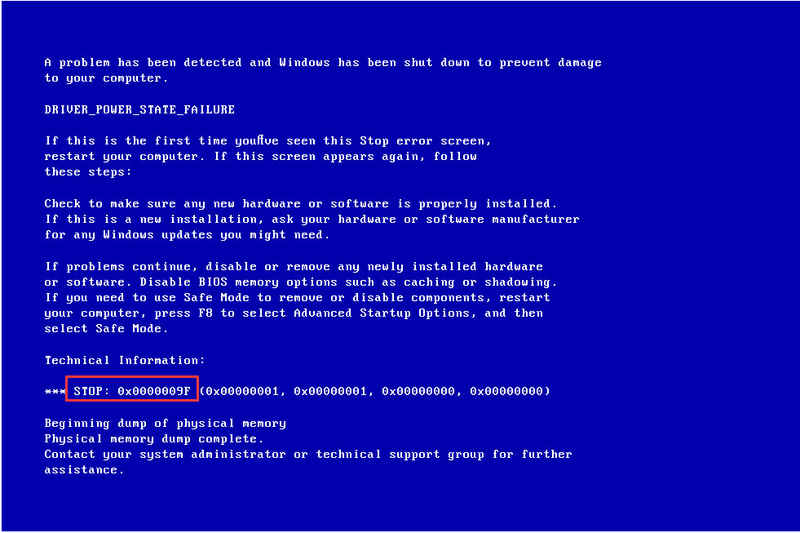 This error usually occurs when you have just installed new drivers or updated them in your Windows 7 Operating System. This error usually starts as your Windows attempts to open. It literally renders your computer unusable. When you encounter an error which says “Driver Power State Failure”, you can solve this simply by doing a system restart. While this may be a great and simple way to get you going again, it may fail to solve your problem. This is when you are left with no choice but to review other solutions that may not be as simple as a restart. Sometimes the error starts right in the middle of Windows attempts to open. This would happen every time you start the computer and it can make it totally unusable. If this happens to you, you are left with basically two ways by which you can open Windows; the Safe Mode or the Startup Repair. The Safe Mode is the fastest way by which you can open Windows without the risk of receiving this error in mid-startup. To open safe mode, there are certain keys on the keypad you must press. These keys will give you the ability to open the option Safe Mode. In Windows 7 and Vista, you must press the F8 key a few times, usually three or four, on the computer startup. Once you have been successful in opening Windows in this mode, then you can go directly to the troubleshooting guide without having to attempt startup repair. Since this problem is a driver problem, you will need to find your solution by targeting the drivers. The first drivers you need to attempt to update are the Wi-Fi, Video, LAN, and Sound. The reasons why you will need to target these is that they are the drivers that have an affinity for getting corrupted. If, however updating just these drivers does not take you out of your grief, then your only option left may be to target all of them. Finding out what is wrong with Windows 7 when you get the driver Power State Failure error on your computer can be frustrating, taxing, and time consuming. It does not have to be when you use the right software systems such as DriverAssist. This software will constantly scan your system to see which drivers need to be updated and it will do the job for you without you even knowing it.